Rabbi David Hirsch is a rosh yeshiva and holds the Eva, Morris and Jack K. Rubin Memorial Chair in Rabbinics at the Rabbi Isaac Elchanan Theological Seminary of Yeshiva University. 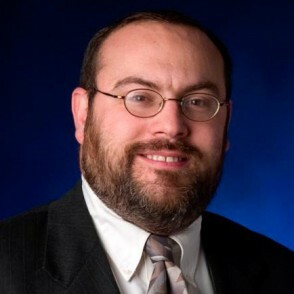 Rabbi Hirsch is a 1990 graduate of Yeshiva College, where he majored in computer science. Upon graduation, Rabbi Hirsch received the Rothman Award for Excellence in Talmud. He earned his MS degree in Jewish education from the Azrieli Graduate School of Jewish Education and Administration in 1993. That same year, he was ordained at RIETS and was named a fellow of the Gruss Kollel Elyon.